David has been on fire since Tuesday. Countless interviews, signings, great performances, etc. He navigates the terrain seamlessly and effortlessly. He is always exactly who he is regardless of the hysteria around him. He looks like a million bucks whether he’s just rolled out of bed or has just signed his thousandth book. He is the most gracious and well-mannered human being on the planet regardless of the situation, and leaves everyone who meets him better than they were before, and clamoring for more. we schlepped to the back of the line and waited not so patiently for our moment in the blazing sun of David’s beautiful face and megawatt smile. I decided to have David sign my book with my “David name, ” Blisskasden,” which he did. I read today where some fans drove eight hours to wait eight more hours just to see David today at the MOA. To the uninitiated, that might sound crazy. To all of us who love and respect David, it seems like the sanest thing in the world to do. This entry was posted on Sunday, June 6, 2010 at 1:01 AM	and is filed under Uncategorized. Tagged: Blissfully sane, I'll take Manhattan. You can follow any responses to this entry through the RSS 2.0 feed. You can leave a response, or trackback from your own site. All the effort, all the waiting, the heat or rain, the endless lines, travel from distant places, fatigue, if at the end of all this effort is David with that smile and sing for me Lean On Me, would do it all over again and again and again. God, I’ll never have the adequate words of thanks, never, never. you have not done harm to people. (i mean). I thought Blisskasden was A GUY! Woh. Not a guy. Abrra. Hmmm. Gotta wrap my head around this new reality. Have to tell you, I have always loved, watched for and agreed with your comments a hundred and ten percent, but I definitely didn’t link you and Blisskasden together. Well I can’t add much to that, Bliss (haha) cause I was there with you! Just want to say what a wonderful time I had sharing the event with Bliss! Ever since I met Bliss at David’s CD signing it has been a pleasure enjoying all David-related events with him and he has become a dear friend to me! The only thing I will add is the anticipation in NY right before David comes out — well, I can’t describe it any better — it does feel like electricity or sparks or something like that! When David walks out I feel like it’s just me & him. I feel like I’m 15 all over again and I just want to sing along and wave my hands in the air and whatever David asks or wants the audience to participate in — I’m with him all the way! He just makes us FEEL SO GOOD in his presence. David just leads you out of your troubles, worries, daily life, whatever else is going on….for those few moments you feel like you are having the best time of your life and for that I am very thankful to David! Bookaholic – haha! Blisskasden is most definitely A GUY! WordPress formatting requires only Admins to publish articles. Angelica will make a writer a “temp” Admin just to get the article to publish. I am guessing she had issues with Bliss’s login. My login name was used to facilitate getting things working. I have asked for an edit explaining all this. would I hijack someone else’s work. Bliss, Thank you for a marvelous recap. Love this sentence: “To the uninitiated, that might sound crazy. To all of us who love and respect David, it seems like the sanest thing in the world to do.” That about summed up our existence for the last two years! 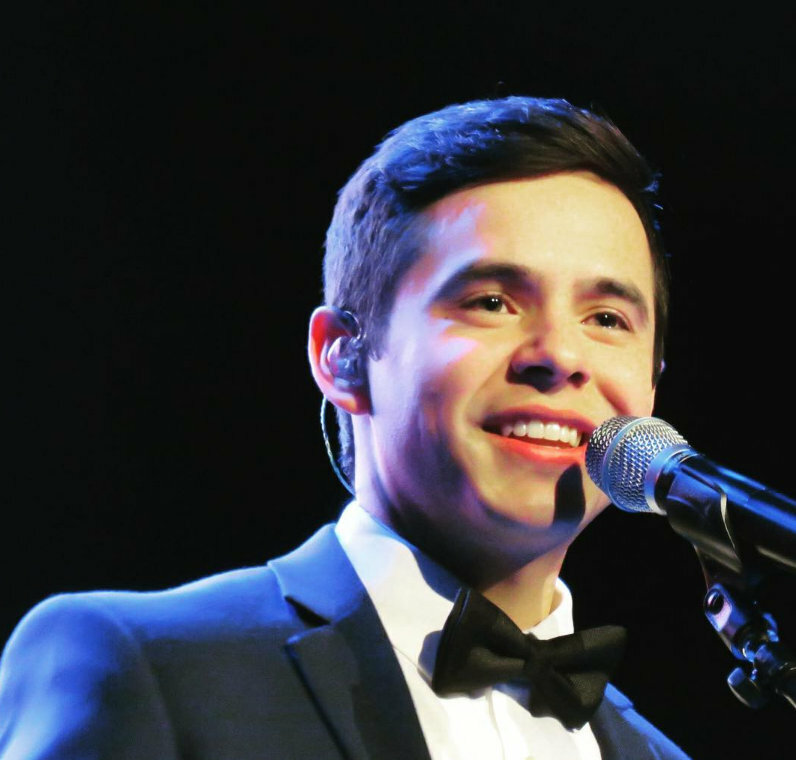 American Idol’s David Archuleta Writes His Memoir – Is it Too Soon? 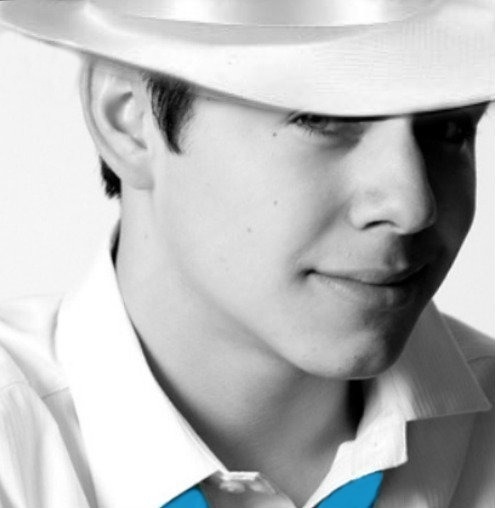 Best known for his time on American Idol, Season 7 on which he came in second, Archuleta also writes about his time on Star Search (during which time he won Junior Vocal Champion) and his struggle with partial vocal paralysis. Although he refused the surgery for the paralysis, he feels he has fully recovered, and his two albums back that up. 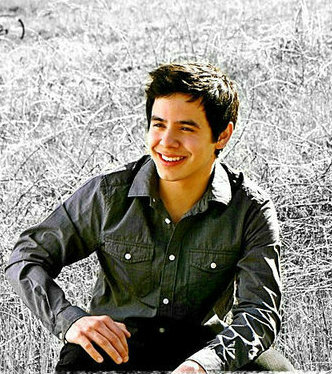 Active in philanthropies, especially DoSomething.org, Archuleta may be young, but he has lived an interesting life so far. The book covers his experiences on the TV shows as well as his faith and his family. It has received all positive reviews on Amazon.com so far. 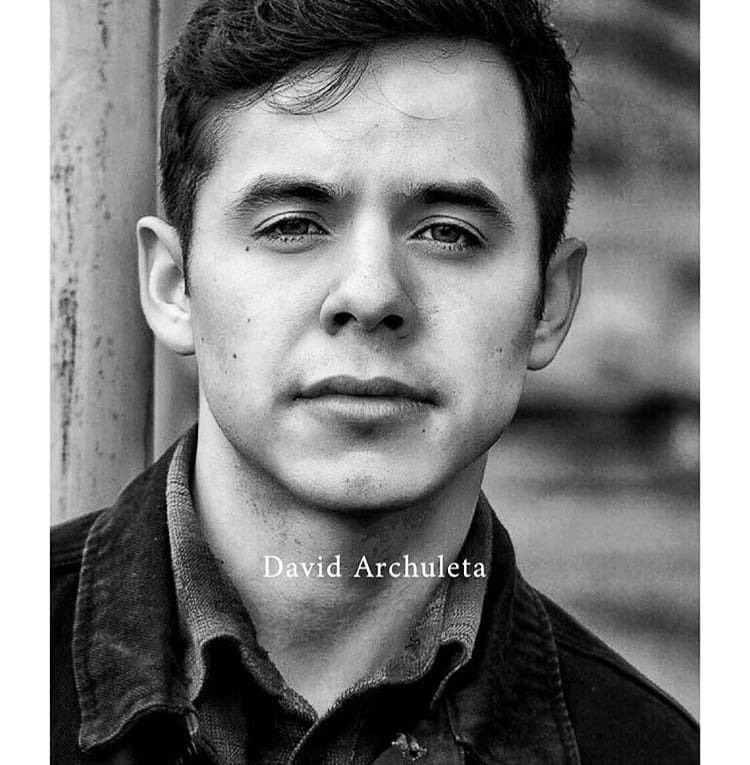 While Archuleta may be mature for his age and have had lots of fascinating episodes in his brief life, I think that age 19 is too young for a healthy man to be writing his memoirs! Most likely he has many interesting years ahead of him and when he is old and gray, that will be the time to reflect and write his life story. At least his story is inspiring and upbeat, and I’ll definitely take this one over any book Adam Lambert writes!! Will you get a copy, borrow it from the library or just pass? Thanks for sharing Bliss! His chin is looking so defined lately – I think I could open a can with it LOL! Then his laser beam eyes could heat up whatever was in the can! Wish I had been there with my pals, Bliss & Abrra, but DJB and I did you proud on Long Island. It was in a word “MAGICAL”. The Archugaze is worth any wait, any traffic jam, any confusion. the calm that settles over you when you speak to him is beyond description, yet it’s sooo fun. This has been a triumphant tour for him in every respect. Finished the book last night and I get it. I wasn’t at Borders or any book signing. LOL! Hey there Abrra – did you read it yet? Anway,I started the BOOK! I only read the Intro & Chapter 1 and I feel like I already have learned so much AND know David even more! This is a fabulous book — so uplifting & inspirational and it’s a perfect Sunday read! I’m stopping there. I want to savor it little by little. Have a great day everybody!! I am so looking forward to tomorrow at the Salt Lake Deseret Book. Bliss you have really wet my whistle with this recap. I can’t agree more about the minutes before David arrives and the electric feeling that is running through ones body and soul! It “IS” so magical! Gah pabuckie. he is so beautiful. Other-wordly beautiful. Where’s that elf king story Angelica? LOL. I woke up, put on my computer to my favorote site, and had an identity crisis. When I went to sleep last night, I was a man, and,to the best of my knowledge, am still a man today. However, it really doesn’t matter what I am. What matters is that I love David, was able to be close enough to talk with him, shake his hand, and congratulate him on his wonderful book. It’s a pleasure to be able to share this experience with all of you, and I appreciate your reactions to it. Pabuckie, thanks for posting those great pics and the video of David. It’s so great to share all things David with you. It makes it extra special. River, I was hoping to see you at Borders with DJB, but I'[m glad to got to see David at the L.I. signing. Abrra, LOL, for one brief shining moment, you were Blisskasden. In time you will recover, I promise. David randomly singing at book signing at MOA. This drought has done a number on us. David’s fans are under his spell more now than ever! It’s evident how madly we miss him by the amount of people showing up at all the signings plus the same frenzy that takes place each time! Bliss, thank you for your recap; your writing is always a pleasure to read. Kris Allen mentions David in his concert banter last night! Thanks for the recap. I’ve always loved your comments. In a prior thread, you said (paraphrasing here) “Be sure to bring sunglasses, as the light from David’s soul is blinding”. This hasn’t left my head since I read it. Bebereader, likewise, I’m sure. I always love reading what you have to say. I think what makes David’s relationship with his fans so unique is that, although we love his music, it is really HIM that we love. More than a book signing, this tour is a reunion of David with his fans, who miss HIM. The book has brought David back to us. I cannot think of any other celebrity whose persona transcends their talent like David. 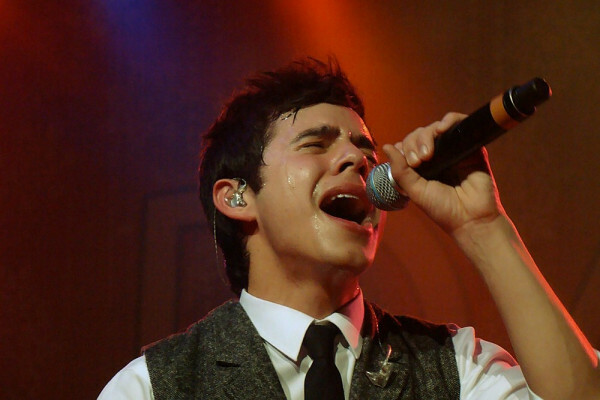 Dispite being the best singer on earth, David’s greatest appeal is just being David Archuleta. Anything he does that gives people the opportunity to see him and be with him is good. It’s just a matter time before Madison Ave. comes calling. Could you imagine David looking into a camera and politely asking people to check out the new and improved Brillo Pads? Betsy, thanks. No one, in my experience, lights up a room,and everyone in it, like David. Bliss, I always delight in your comments and, like YJfanofdavid, especially loved this part: “To the uninitiated, that might sound crazy. To all of us who love and respect David, it seems like the sanest thing in the world to do.” So true, and so glad you and Pabuckie could share such an exciting day with David and each other! Gladys – loved your heartfelt post #1 to start this thread! Pabuckie – so very true: “When David walks out I feel like it’s just me & him. I feel like I’m 15 all over again and I just want to sing along and wave my hands in the air and whatever David asks or wants the audience to participate in — I’m with him all the way! He just makes us FEEL SO GOOD in his presence.” When I’m at one of his concerts, I’m suddenly a carefree, jubilant teenager again, too! Betsy, what you brought over from another thread from Bliss: “Be sure to bring sunglasses, as the light from David’s soul is blinding”. Make that a double for me. David truly does radiate a brilliance from within. Nanaweize – look forward to your comments after tomorrow’s event – have a blast! Best “I’ll Be” – closeup and clear. Bliss, love this recap of your day! Can hardly wait for tomorrow!! @zerogravity1 has been posting pics on twitter today and they are all ready for him at Deseret Book tomorrow. A bunch of Utah fans took her to “Music and the Spoken Word” with the Mormon Tabernacle Choir this morning in SLC. So they were pretending that they were in line already!! haha! Love that they are already ready for him, but then again, this is Mormon country and the book store is closed on Sunday, so they had to get it ready yesterday. They are letting people line up at 12:00 midnight tonight, but this old lady ain’t gonna do that. Then I wouldn’t be able to enjoy the day tomorrow, nor the next day down in Orem. But I am sure there will be some people that do. We are going early in the morning though, and I will for sure have my sunglasses in place, Bliss. Abs, you might want to go find those pics. They are kind of fun. There are three of them. 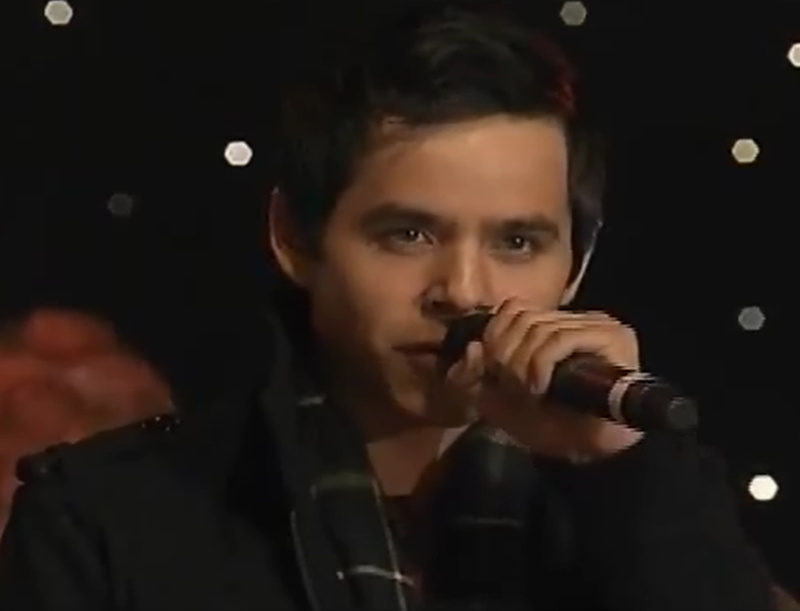 Lovin these close up vids of him singing “I’ll Be”! Wonder what he will sing tomorrow and Tuesday? It looks like we can get more than one book signed. Yea, I may have to go and buy some more and send them to fans who are unable to get a signed one for Tuesday. Don’t want to wait in two lines tomorrow, so I will get more books after he signs the three I have now. Anyone else want a signed copy, just let me know, and I will have it personalized for you. You are now the author of the post again. You were when I went to bed last night, (thank you, Bebe, for being my witness) Idk, wordpress works in mysterious ways, its wonders to perform. I love the recap of your time in Manhattan with Pabuckie and fans, and of course, David. I can see you lurking in the Kids Dept. for hours, (“I haven’t been around that many coloring books and paint by numbers books since the Eisenhower administration.” LOLOL! And then the Borders Patrol coming to run you off. Wonder what made them think you and Pabuckie weren’t really interested in coloring books? Anyway, love all of it and the scan of your signed book. Next time make it easy on David and just have him sign it, To Abrra. LOL! It is Vee from Sydney, I am still here with you, just lurking. Sorry been absent but I am still here with you guys , just not commenting. been busy with my own personal life. It is getting there, have hiccups every now and then but with The voice, it is easier. Love all your recaps, wish I was there. I will wait for hours just to see that blinding glowing light. I will come prepared with my sunnies, I have lots of practice here with our Sydney summers. I think david really knows what his fans need. It seems when I needed him the most, he will come. This time, I just need to hear his voice, see his smile and everything will make my world a bit better. Very timely this deluge of videos, this make me sane. I do thank you all for all this writeups. love the waiting and the anticipation. 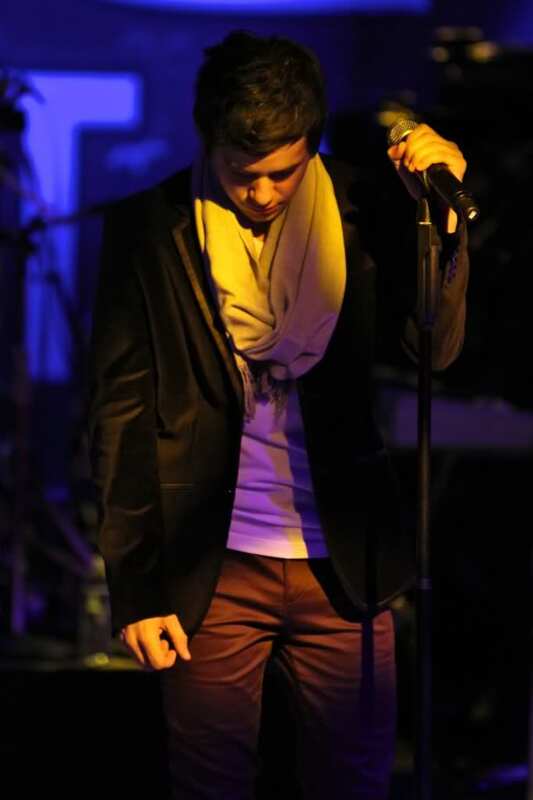 When I attended his concert in July 2009 in Los Angeles, I was like a young woman again, enjoying the moment. Just like a typical young girl about to attend a concert, forgot the most important thing, THE TICKETS. We did not have enough time to go back to our hotel, luckily remembered that Mike (from TDC, sold me the tickets) sent them via email so we have to find the nearest internet cafe and had to print another set of tickets again. Imagine this old (young at heart) Sydney woman with her sister trying to ask people where the nearest internet cafe in Los Angeles. We always have a happy ending with david’s story, got my tickets, met a lot of David’s fans, including Djafan, MikeSd and Davidliz(TDC) . had a long chit chat with them after the concert, just taking about The Voice. What a way to finished the day. Then read Shawna’s comments. All of a sudden, this little old lady wanted something. Shawna or who ever can help this old lady from Sydney. I can pay via PAYPAL so will pay for the book, postage and other miscellaneous expenses. A lot to ask but this David’s fan has to try. At first, I thought just a book would be sufficient for me. But as soon as I saw pictures of people with their names on it, I SUDDENLY CRAVE FOR MY OWN PERSONALISED BOOK. A personalised book with my name and David’s signature would be a lovely present for myself (will turn 50 this December). Now time to wake up my boys, Monday, start of the week again, just 6:38 am here. Folks, once you have finished the book, do take the time to read momjulee’s blog post about it. It is so amazing. I’ve been wanting SO BADLY to talk about certain parts of the book, but I don’t know if everyone is finished! Oh and I also love the review over at Soul David by HG! That’s the question I have! Maybe I missed it, but is there a time or place for those that have read the book to start commenting on it. I know abs hasn’t read it yet, and I would hate to spoil anything for anybody. Just wondering. Vee, I would be glad to do that for you. I will pick up another book at Deseret Book tomorrow for you and have it signed. Just tell me your name so I can put it on a postit for him to see, and have him sign it. I am already doing if for two others (already have their books, one from Amazon and one from Deseret Book already) but can easily get another one tomorrow morning and I can still do more if anyone would like!!! As I have seen these signed books, I also felt so much joy, and felt like since I live here in Utah, I would love to get anyone a signed book who desires one and doesn’t have the opportunity to do it in person. I know it isn’t the same as having him sign it in front of you and seeing him sign, but I guess it is the next best thing!! Plan B: Utah fans need 2 tell David at the booksigning! P’s show is at Rio Tinto St., David’s connections should be good for that! Boy, I would love if David went to Paul’s Concert and got up on stage and sang “Maybe I’m Amazed”!! David needs to hear about this one. Talk about how EPIC that would be!! As Bliss said to me he could also sing The Long & Winding Road with him!! Yesterday on twitter I saw a tweet from a guy that was probably just shopping in the mall and he tweets something like Gee MOA must have gotten a new sound system! Seems like David’s VOICE must have filled the entire MALL and he was a little distracted & blown away, perhaps! 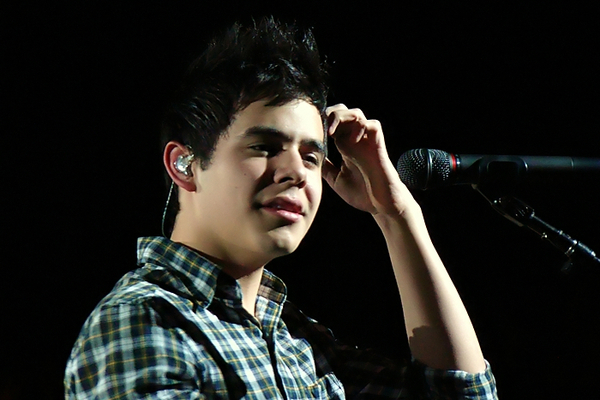 So I tweeted him — NOPE — it’s just David Archuleta’s MAD VOCAL SKILLS! Now, here’s a video of DA blowin’ up the SOUND SYSTEMS! WOW! Send me an email please? I have tried to contact you at .au address and it bounced many times. bliss – I always love reading what you write. I especially love this part from your recap: “To the uninitiated, that might sound crazy. To all of us who love and respect David, it seems like the sanest thing in the world to do.” – how true! with real life all weekend that I haven’t been online much. Wow Pabuckie! That video from the upper floor of the MOA is fantastic! The audio is wonderful! Thanks for bringing it. I’m tempted to ask you what you said to David and what he said to you back, verbatim. The first thing that came to my mind when you requested him to write your David name was that he would say, “I KNOW that name!” (much like he knows The Voice site, lol!) It’s just my way of saying how much I respect all your comments since I discovered Youtube way back in 2008 because of David. Any avid follower of David must know how you stand out as THE male fan of David who gets him so well in the whole fandom, and that your name must have been mentioned already to David somehow. 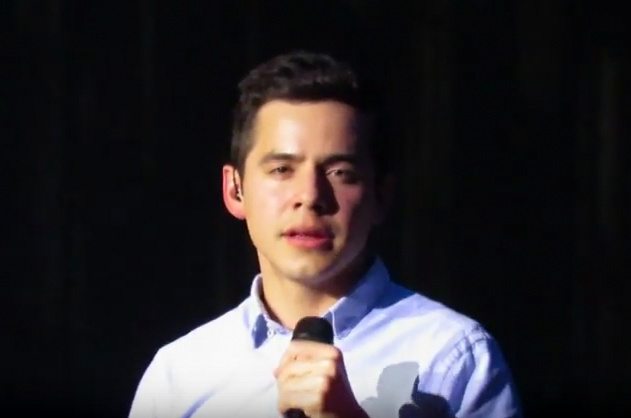 You might not know this, but I wrote a long post in the CDC site (when it was still active) quoting all your comments on David’s first emotional SLC performance of When You Say You Love Me. As much as David touched me and sealed my fate as his fan for life with that one song, the wonderful comments you wrote about David in Youtube left a lasting impression on me and I would always watch out for anything written by ‘Blisskasden’. You write of thoughts we feel about David that ring so true deeply, subliminally, but we are not able to totally comprehend nor express in worldly terms, and yet you keep ‘nailing it’. 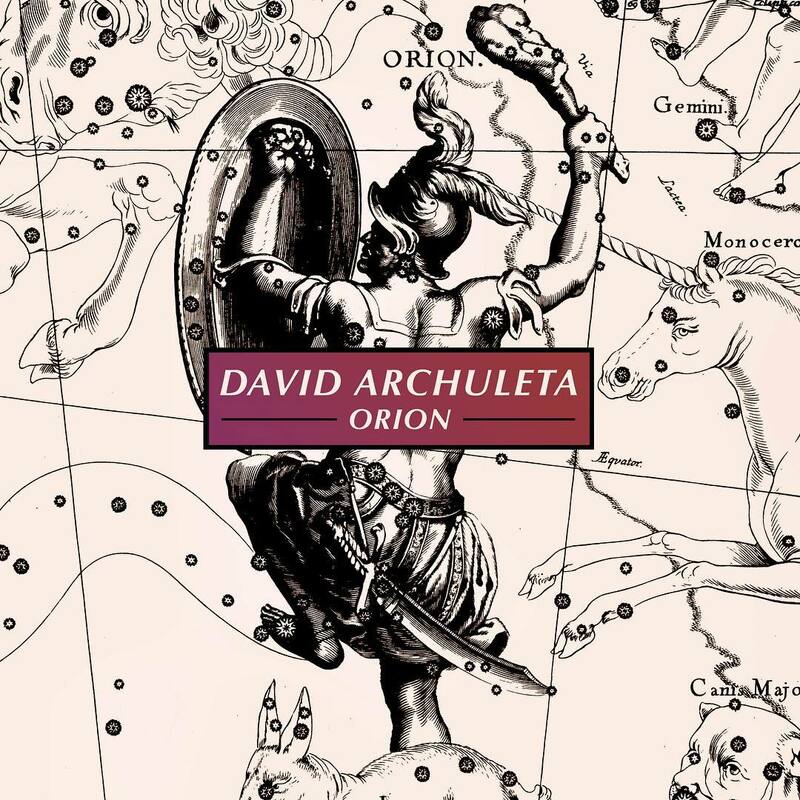 I am normally a very matter-of-fact and objective person, but David has made me get in touch with my emotive, sensitive and spiritual side through his music. You just keep strengthening that personal awakening with the wisdom of your words. I always look forward to what you have to say. A network should take you up on your offer to be interviewed about the ‘David effect’ on people. Thanks to everyone for their warm and friendly comments today. Anything to do with David is always uplifting and unpredictable, and today was no exception. 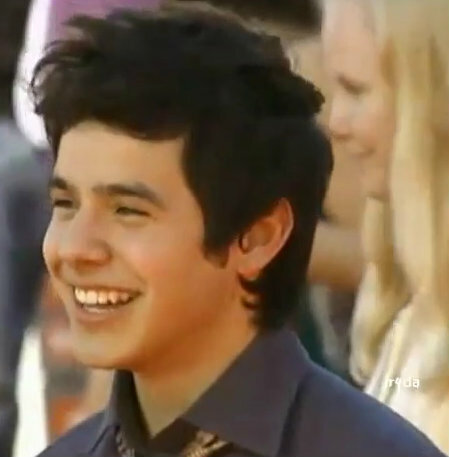 I know we all agree that it is so great to be able to share our love of David with each other. David literally leaps off the screen in these videos from the signings. 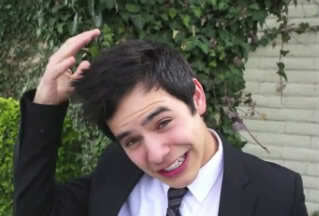 David is a classic example of someone who is completely rooted in being who he is. There is not a pretentious bone in that P90X worked out body of his. 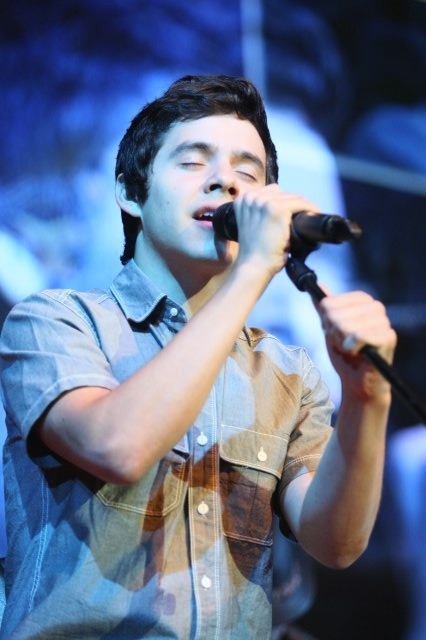 It’s time for Carnegie Hall to stop stalling, and book the inevitable “An Evening With David Archuleta”. I promise to wear a tie to that one. Oooh Bliss! 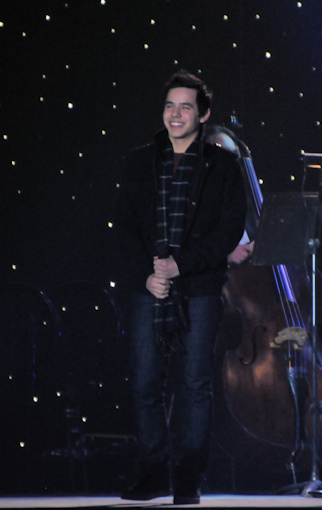 An “Evening with David Archuleta” at Carnegie Hall! Now that sounds promising & exciting! I also like Asphil’s idea: an “Intimate interview with Bliss & David” — a discussion of the “effect” David has on all of us not so tweens! Now Bliss I could be on the sidelines perhaps like Johnny was on tour — oh, maybe providing the water bottles, or holding the mic, or providing the swivel chairs, or megaphones or something like that! Bliss – LOL to the Brillo Pads! I’d buy ANYTHING from him. Bliss, It is always a joy to read your comments on David. Thank you for this wonderful post and to all who have commented on it. This one paragraph had an astounding effect on me. The first sentence hit me with such an impact and I knew that was how I felt deep down inside my soul. That relationship is a “good” thing, no matter what anyone else says to the contrary. Ascphil, I ‘m overwhelmed by your post. To answer your question, and to be very honest, I was kind of hoping that the unusual name that I had asked David to address would bring a look of recognition to his face. Although it didn’t, I was no less thrilled to have had yet another opportunity to look into his beautiful eyes, and have him look back at me. I was not disappointed in the least. After all, David has an ocean of fans. I’m just one of them. The interaction with David went like this : Me: “Great to see you again, David:” David: “Thanks. I hope you enjoy the book”. Me: “I love everything you do, David”. That’s it, but it’s not the content, it’s the David of it all. Everything I have written and will write about David is inspired by David. I am never more alive than when I write about David. It would be wonderful if David knew who I was, but for me, it’s just such a pleasure that I know who he is. Did you notice not one of those 3 girls that were asked why they were there said anything about his Voice?!! HellooOOooo!!! He is more than just a pretty face and he will be 20 years old in 6 months. sheeeesh! 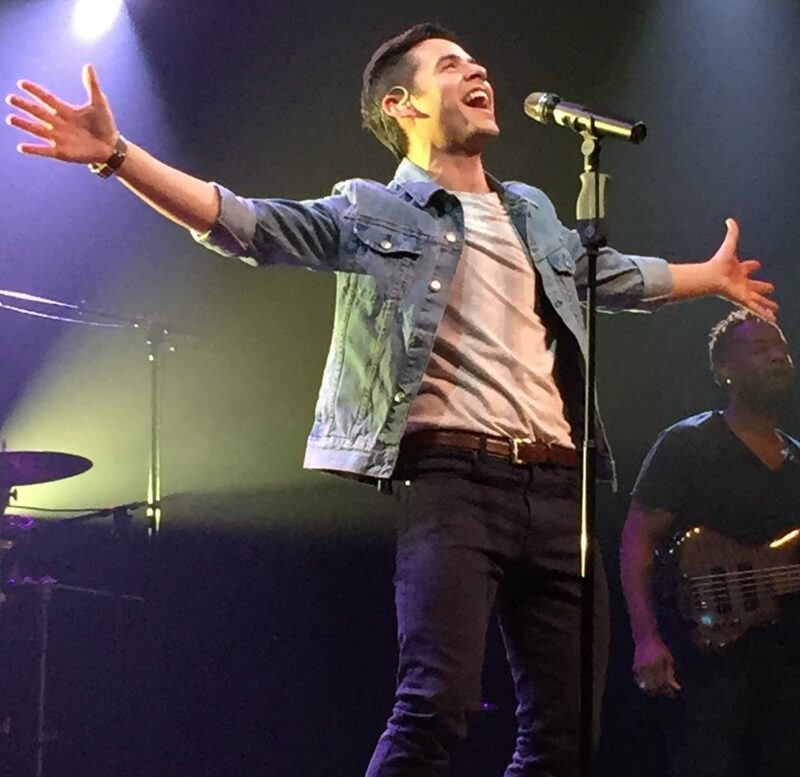 “It’s time for Carnegie Hall to stop stalling, and book the inevitable “An Evening With David Archuleta”. I promise to wear a tie to that one. I would fly to NY for that one and wear a gown of Elvin lace made from spun moonlight and the finest frog hair. Pabuckie, you’re hired, but you know that the real reason you want to David to appear at Carnegie Hall is to see me actually wearing a tie. Angelica, I have an uncle in the frog hair business. We’ll talk. You’re on your own with the spun moonlight. LMBO to your whole post! What if there’s more than one?!! Bahahahhahaha!!!! This is so true, how to explain this to the uninitiated? They are so missing out. How to explain that it’s somehow and for some reason my responsibility to support him in all his endeavors? 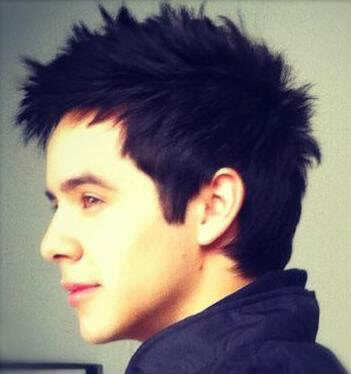 Only here, among mutual fans could I freely express my love for David. Thank you for your words, I’m also one of those admirers of your comments for the past two years. You have many times brought tears to my eyes when you express the unconditional love and respect for David in such beautiful terms that I feel in my heart and soul. Well, he IS good-looking. And when I think back to myself at their age I probably would have been the same way. Of course, now it’s only about the voice. Thanks for answering my question. I can feel that in that brief moment with David, you were succinct in your words, but it was THE moment to be (once again) one on one with David, looking at his radiance up close, that was all one needed. I wish I could someday have that moment, too, being a vast ocean away amidst oceans of fans. I shall email you a copy of my CDC post when I get back home to my personal laptop. I’m at work right now as I sneak this comment in here from my office computer which hardly contains any of my David files. I rarely sneak but I just had to place a comment to acknowledge your response to me. I really appreciate it. Thanks! Bliss, great post. And Carnegie Hall, is it big enough… cause the entire fandom would be on the next car, train, boat, plane… or any four-legged creature that could carry us… to get there. So true!! I had a conversation with my mom on Friday and happened to mention going to a booksigning and a concert this month and she said (somewhat sarcastically) “you just follow him everywhere, don’t you?’ I replied, “Yep, I do. He is worth traveling to see.” End of conversation. Love your recap, and I can’t wait until Tues. to see him!! #63 JackRyan – I just replied to your email. I’m bringing this over from FOD because I know you will all love it! David Archuleta at the Mall of America, Saturday June 5th, 2010 for his book signing. Story behind this: I was standing off to the side after he signed my book and found a disabled girl who had his book in her hand as she was getting ready to get it signed while she was with her parents. She seemed incredibly sweet. So the guards tell the rep from B&N about her and the representative tells David… I’m not exaggerating when I say the second he tells him, David springs off his chair and walks over to the girl. Here’s a video that I shot of it: http://www.twitvid.com/MHIK4 He really is the sweetheart you see on camera/video, so incredibly down-to-earth. Pabuckie#66 Omgosh…could you love him more? Thanks everybody for the beautiful pictures, videos, stories and words! 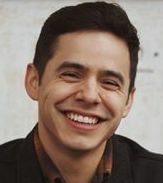 It makes it so easy to be completely and irreversibly smitten with David–I think we are all here for the love, and there is lots of it to go around! Bliss– I bet you have a gorgeous tie collection if you choose your ties with as much precision and beauty as you choose your words, and I hope I get to see you in one, one day, in our front row seats at Carnegie Hall! Ascphil, looking forward to your E mail. As for my interaction with David at the signing, because there is no time for anything but a passing pleasantry, the actual exchange is unimportant. I will tell you this. One look into David’s eyes that is returned by him is worth it’s weight in gold. It renders any creature discomforts one might experience (lines, travel, etc.) instantaneously moot. The charisma in those eyes cannot be overstated. It’s downright otherworldly. Emifriend, that’s really nice of you to say and I thank you. I’ve been to Carnegie Hall a few times. I saw Carole King there and it was magic. I can easily picture David on that stage with nothing but a piano and 2 bottles of Aquafina. 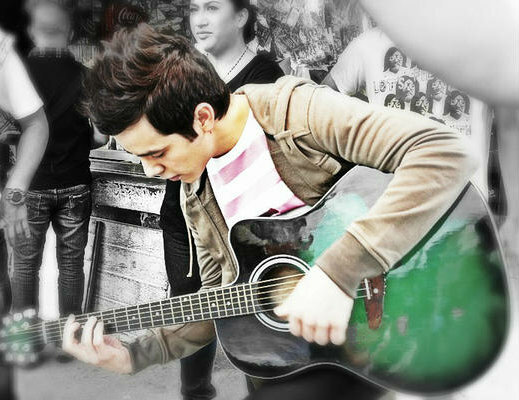 The acoustics there are the best, but as David proved at the MOA, he doesn’t need the best to sound the best. OMG, Bliss, I am tearing up after reading what you just wrote back to me, because it reminded me so much of what I had experienced when David was here in Manila for that so-called Meet & Greet a couple of days before the concert, but which was actually more of a four-minute hi!-and-bye! Many of his fans prepared things for him to sign — new cds bought, photos, gifts, et al — only to find out there wouldn’t be anything like the M&G’s you have there. 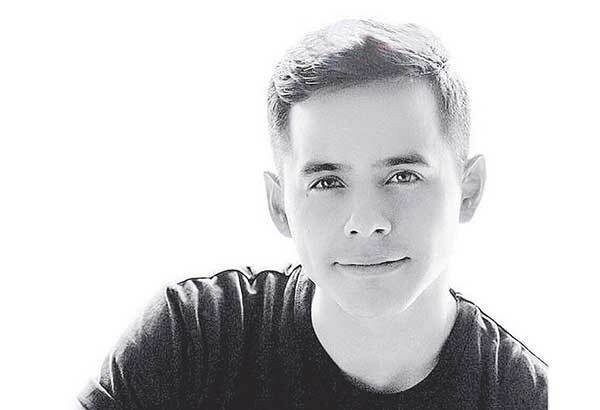 It was also attributed to the H1N1 scare during that time, but nevertheless many avid fan-hearts were broken (especially those like me who were updated and familiar with all-things-David) by not having the opportunity to get close to him. I had prepared two photos for him to sign, both from the Matt Clayton collection. One was David with his parents, Jeff & Lupe, and the second was the front close-up with the top of his head partly cropped off and his face slightly off-center, both of them kept in a manila envelop. When I got home from that frustrating M&G, I went up to my room, didn’t talk to anyone about how I felt and suddenly broke down into tears. Then I was questioning myself why I was feeling that way for a person who doesn’t even know me – much worse, for a young boy unrelated to me and aged just like my second son. Then I prayed for comfort. For some reason, I reached out to the manila envelop and pulled out the photos. The first thing I saw was David’s full face gazing back at me with those loving eyes, and suddenly I felt a big relief. The sadness had left me and something inside just told me everything will be fine. His eyes were speaking to me, comforting me. I can’t explain how he managed to make me feel so light, and that was just a photo of him. How much more potent would it have been if I had seen him in person? How true, how unbelievably true! Just been back from work so if it is not yet too late, could you ask David to address the book to VETH? Also would it be possible to send your email address/PAYPAL account to Abrra so i can transfer the money . Thanks again. Ms abrra, sorry about that Optus.Au account. It has limited memory so as soon as it reached limit, it won’t accept any new emails. Just have to say to everyone, thanks for all the videos, I am now in the Maybe I’m amaze/I’ll be vortex. 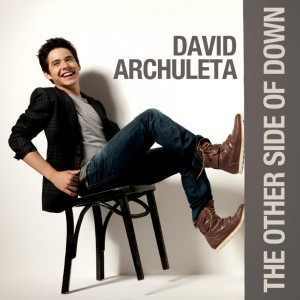 David’s voice had really deepen. So can’t wait for the new album and then new youtube videos of the new tour. better say good bye for now, I am about to do dinner. So fun. With refnaf, John, zerogravity1. Trush, pattirae Monica, pam and more!!!! Godspeed to Shawna et al! Pabuckie…thank you for bring that twitvid over…He compassion is evident in his eyes and his reaction to those with needs. Reading his book, looking at all the pictures and videos, my love and admiration continue to grow and I didn’t imagine that being possible. I don’t know how he does this or why it happens but hearing so many different accounts of this makes me feel less insane…lol And Bliss is right, once in the path of his compassionate gaze all prior anxiety becomes moot. Hi Vee from down under!!! How nice to hear from you. Hope all is well with you. I want to thank you and JR! I received my videos!!! Shawna, Nanaweize, Bluesky and all others attending we’re with you in spirit! 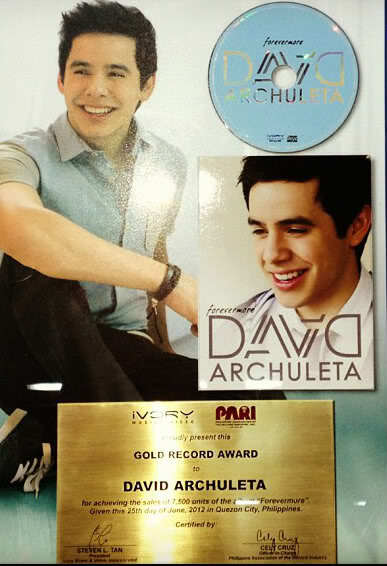 David Archuleta fans are THE BEST. All of your posts are blissful! Charging my phone right now! Will tweet some more in a few! Morning All! I have really enjoyed reading the various recaps of you lucky folks who made it to a book signing. Here is a link which GGDoors posted on another site. It’s an excellent interview/article which includes a little info from Ray Garcia of Penguin Press. Sorry if it was already posted in a previous thread. I keep extra copies of his CDs in my car. Numerous times, esp. with CFTH, a friend riding with me has said, “Who’s CD are you playing?” and I just “happen” to have an extra CD to pass along to them…..
Dang it–should be “whose” instead of “who’s”. Oh well. The line is growing and they moved us to get ready for the performance! Another tv appearance this morning! Pics from Fox 13 interview from this morning! oh wow.. why did David and Jonah make me tear up? Jonerz…how did you survive that live? I had to edit that last comment down so much – all that was left were two words. Thank god I came to my senses in time. Somewhere in here there needs to be a picture of a person being fanned after they have fainted…just to add color! Here’s the link to the Good Things Utah interview from this morning. Will update to youtube when available. Bravo David. That was beautiful. It seems I’m always late to the party. In any case, thanks for all the photos, videos and of course Bliss’ recap. I’m loving all this attention David is getting at these book signings. I finally got my book and read it over a few days whenever the kids were asleep. What can be said other than my respect and admiration has increased exponentially. He consistently demonstrates the best qualities in all of us at the same time he isn’t perfect and his quirks and imperfections help us relate to him. 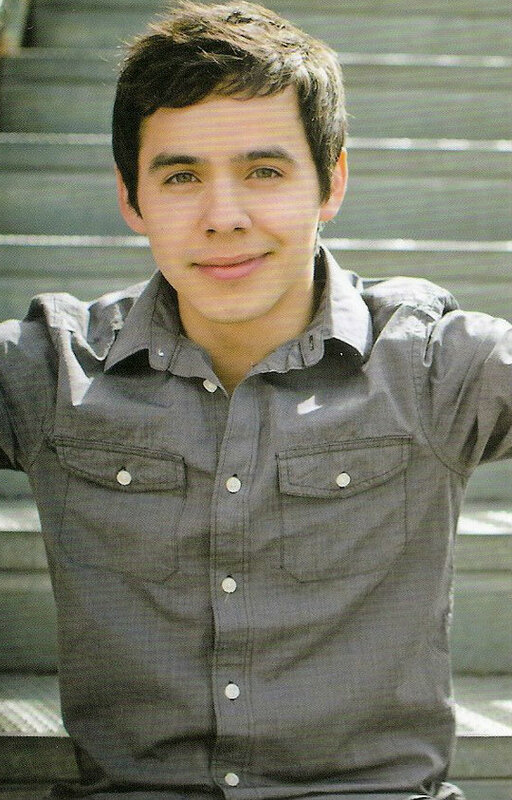 I elect David Archuleta to be ambassador for the human race. His version of God Bless the Broken Road is maybe my favorite thing this week. I say that and tomorrow – he will blow us away again. It keeps happening. Ok, it’s just Bless the Broken Road, I know that and have seen others correcting others for it. Gah, I’ve been waiting to hear “Bless the Broken Road”. This vid and the one of “Maybe I’m Amazed” are on going on simultaneous repeat. If he keeps this up we may get an album’s worth of covers before the actual album drops. Not complaining. Not. One. Bit. Heavenly day…more to come later! I think that shirt is made of spun moonbeams and the finest frog hair. It’s so…gossamer. There you go mah darlin. Is that big enough? That picture ended up half way into my laundry room. 😉 Big enough? I just resized it, Abs. But somehow I like the bigger one better! it needs to be bigger…Please and thanks. yep thanks IT’S POIFECT! gah. I prefer laundry room size though LOL! He is so dang talented. SO.DANG.TALENTED. I am afraid my ears and heart and head may explode upon listening to the next album. He plays with the notes like a shiny new toy. And let’s not even talk about a spanish album, cuz mama might say something that just ain’t ok. Those dang shoulders with latino blood in them can’t be stopped. New pics sent from Betsy!